Today, HP announced two new desktop PCs HP Pavilion Wave and Elite Slice running Windows 10. The HP Elite Slice is the first modular commercial desktop. HP Pavilion Wave is new compact design with the power of a full-sized desktop, running on Windows 10. The dual microphones enable voice integration with your digital personal assistant, Cortana. It features an iconic triangular form with an innovative parabolic reflector with an integrated speaker on top of the PC for superior, 360-degree audio experiences to a fill room with crisp audio. 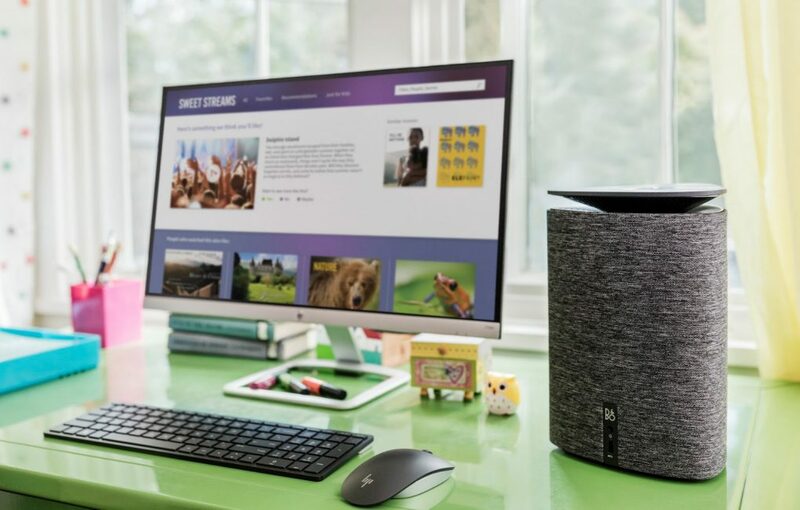 This unique desktop is built around a fully integrated, advanced audio system to play music, listen to movies and web chats. 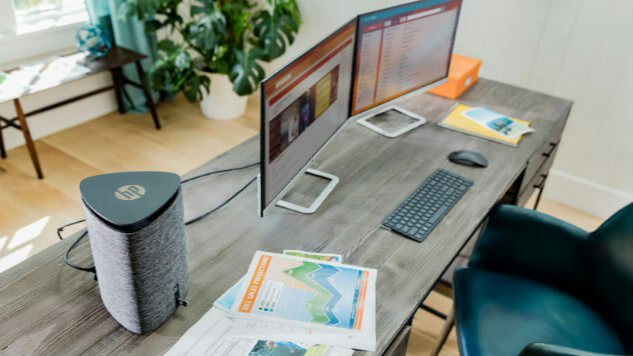 The HP Elite Slice is the first modular commercial desktop with cable-less connectivity and enables customers to build the desktop of their choice. HP Elite Slice features modular design in matte black with polished copper accents to streamline workplaces. HP Collaboration Cover: turns the desktop into a Microsoft Skype for Business phone for easy call management with capacitive touch keys. HP Wireless Charging Cover: wireless charging starts automatically upon contact to eliminate charging cables and ensure mobile phones and devices are powered, ready for use. The Wireless Charging Cover is expected to start shipping in the first half of 2017 and requires factory configuration. 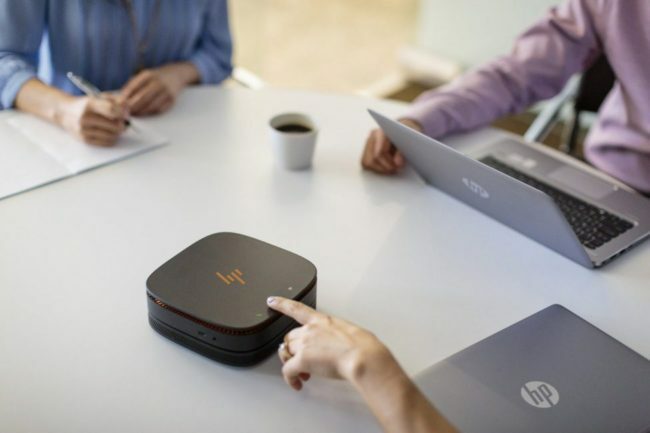 HP Audio Module: spoken word tuning makes virtual meetings and call experiences crisp and clear with audio tuned by Bang & Olufsen, 360-degree speaker design, dual-microphone array with range of five meters and HP Noise Cancellation software. The HP Elite Slice starts from $699 and is expected to be available in September 2016.